The ’50s were a simpler time. Kids weren’t exposed to the technology that’s prevalent today, and they had a lot of fun with items that were a bit more low key. 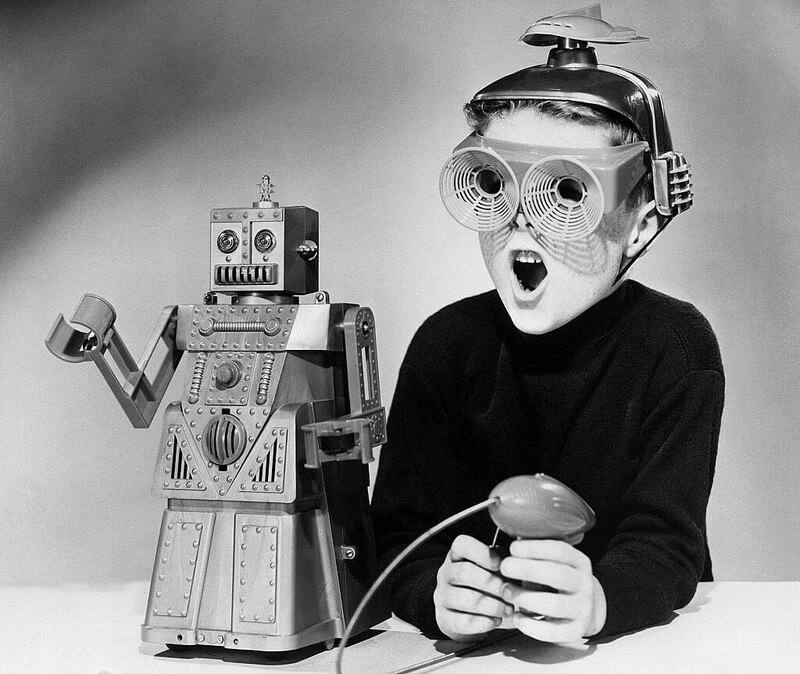 Check out this young boy wearing a futuristic space helmet and goggles. He’s using a toy called Robert the Robot, which was manufactured by the Ideal Toy Corp. The robot was showcased during the summer of 1959 at the American Fair in Moscow. The robot was touted for its ability to walk and talk. Even its eyes lit up with the help of a remote control. The robot cost just six dollars. Some teenagers, like this group of young men, passed the time by hanging out on their motorcycles in parking lots. This group of San Francisco teens was known as greasers. 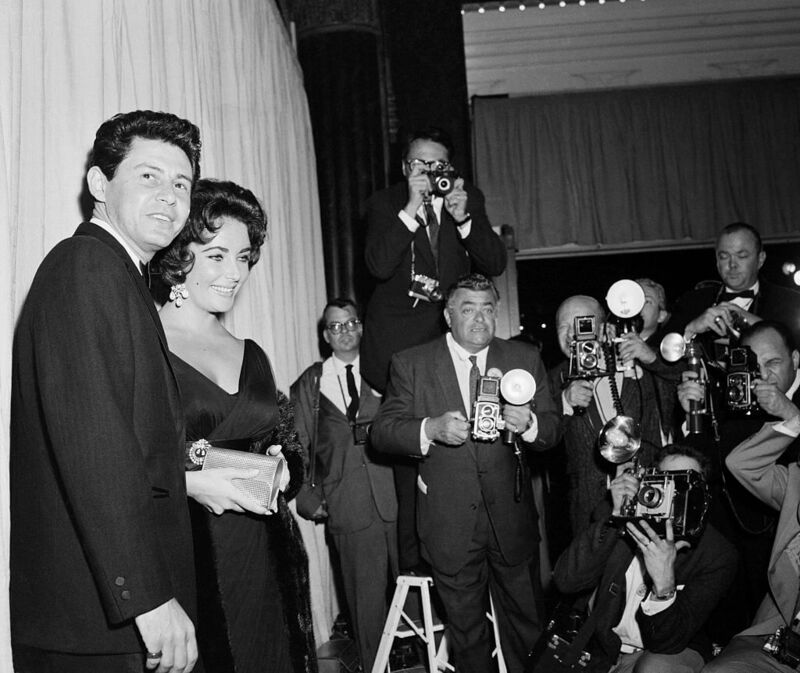 They were typically Italian-American or Hispanic-American youths who liked rock and roll music, rockabilly, and doo-wop. 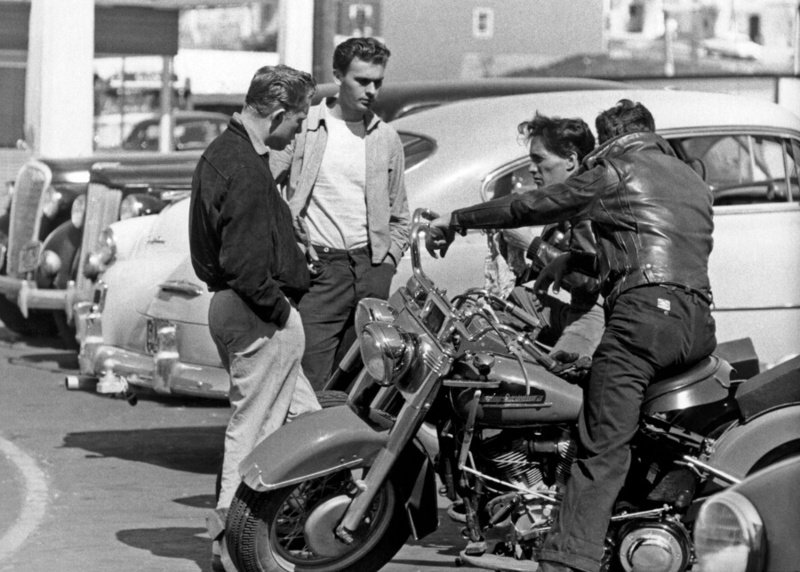 Greasers were characterized by their rebellious attitude and working-class attire (t-shirts, jeans, and boots). They greased their hair back with products such as petroleum jelly in order to style it into various shapes, such as the pompadour. Female greasers wore leather jackets and tight, cropped pants such as capris and pedal pushers. The stereotypical ’50s family spent quality time together on a regular basis. 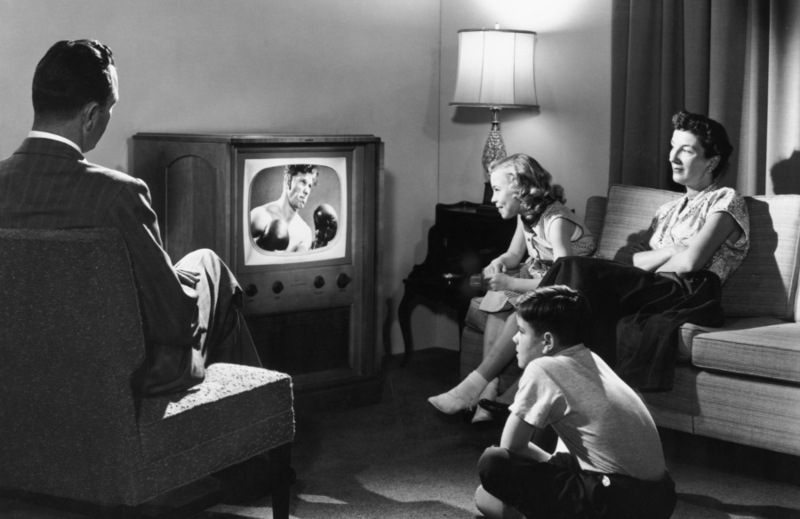 That often involved watching television programs like this family viewing a boxing match in 1950. Some popular TV shows during that time were I Love Lucy, Father Knows Best, The Honeymooners, Leave it to Beaver, and Gunsmoke. By the mid-fifties, nearly two-thirds of all households owned a television, something that was a luxury item just a decade earlier. 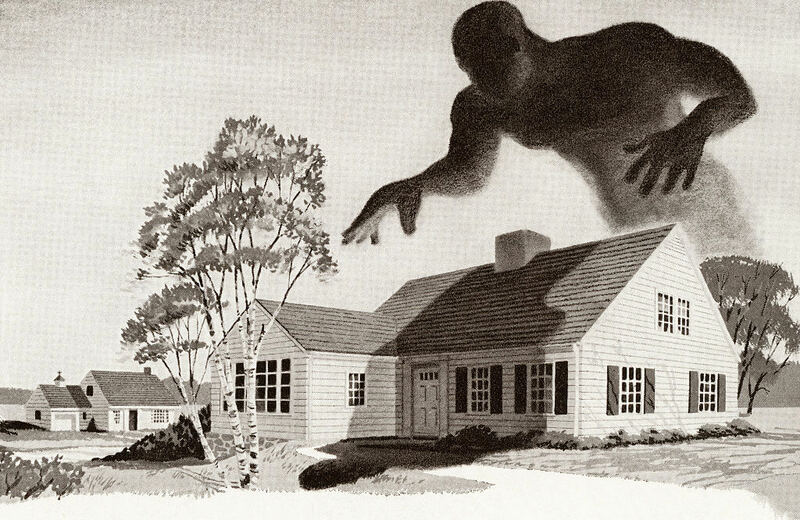 TV programs depicted ideal homes with working dads, housewives wearing pearls, obedient daughters, and sons who got into good, old-fashioned trouble. Few American homes actually had perfect families like the ones seen on TV. In the ’50s, going steady meant a couple was exclusive but didn’t necessarily mean they were on the road to marriage. Often boys gave their girlfriends a class ring, letterman sweater, or an ID bracelet to wear. 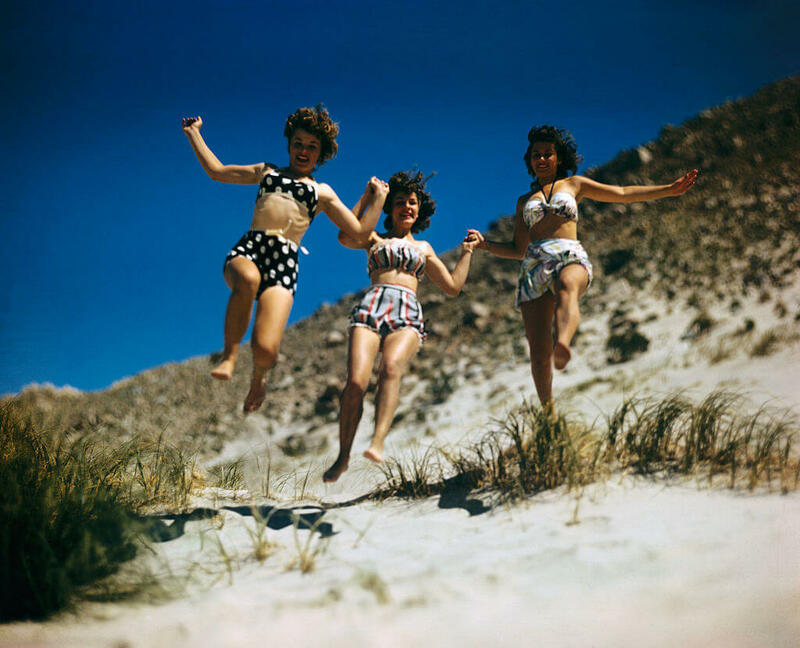 The young women pictured above are wearing swimsuits in Palm Springs, California. 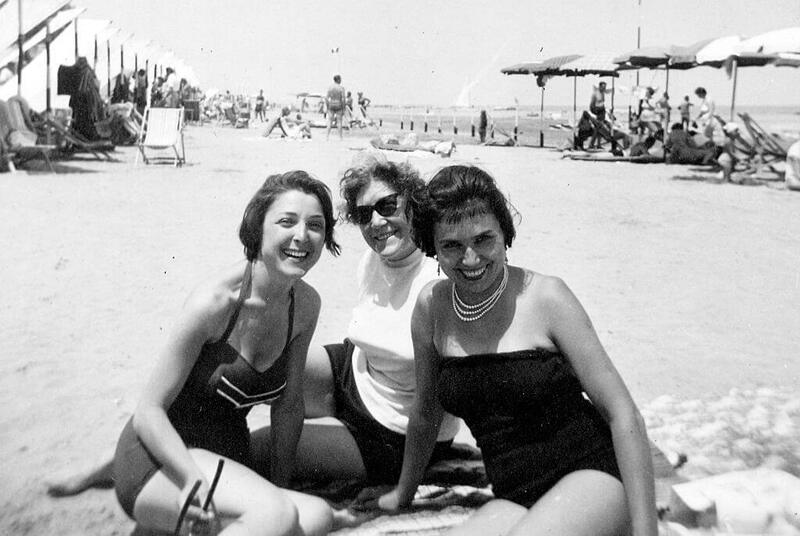 Fifties swimsuits were often made of nylon, taffeta, and cotton. They hugged a woman’s curves and were more about making a woman look attractive than making her swim well. Bright patterns and tropical themes, such as flamingos, were common. Most women preferred the one-piece swimsuit, but the bikini was starting to gain momentum. However, they didn’t reveal much more skin than a one piece. The bottom half often featured ruching and came up to the natural waist, never revealing the navel. Tops were typically either strapless, a bra-like top, a tube top, or a halter top. 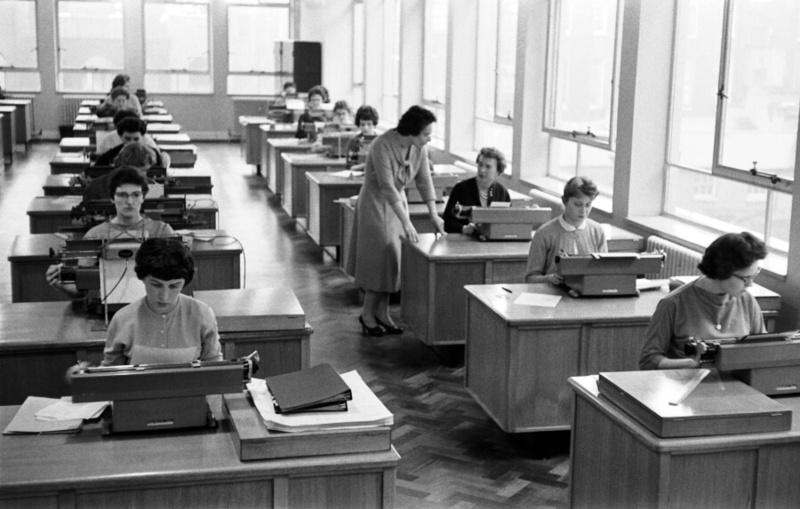 Pictured above is the typing pool at the offices of the London retailer Marks and Spencer in 1959. If a woman worked outside the home, one of the most popular jobs she would have held was a secretarial or typist position. Prior to the digital age, men often employed women who knew shorthand or could type. Shorthand-typists took dictation and typed letters and documents, often working in a pool alongside other typists. Secretaries answered phones, took care of files, typed, and did her boss’s bidding. Similar positions exist today, but the jobs are referred to as office administrators or personal assistants. 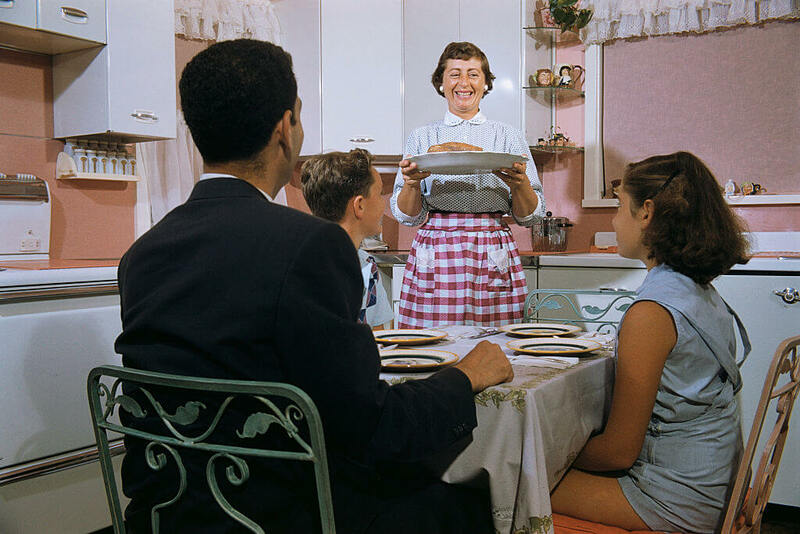 The ideal nuclear family of the ’50s is very different from today’s modern family. 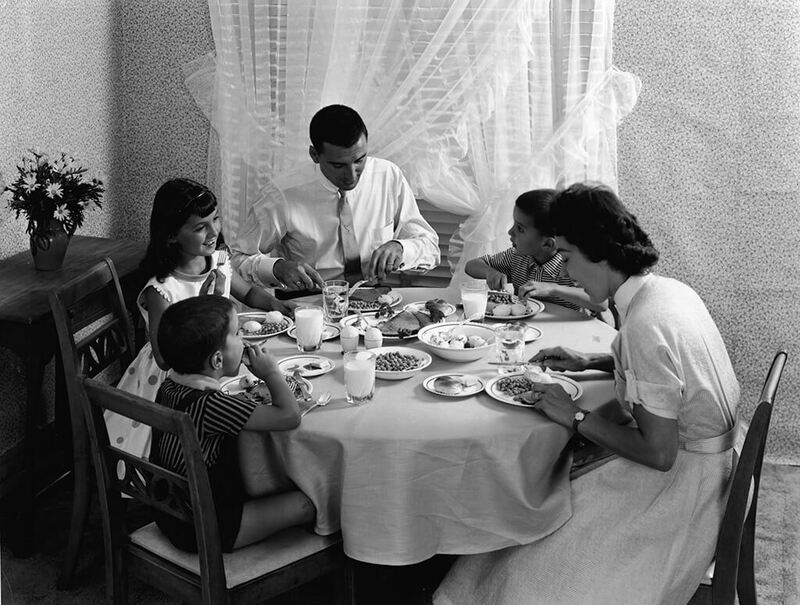 The ideal nuclear family of the 1950s included a mother and father and at least two children. The white picket-fence family represented the American dream with a working dad, stay-at-home mom, two happy kids, and a dog. TV shows such as The Adventures of Ozzie and Harriet and Leave it to Beaver waxed poetic on how wonderful life was like for these families. The picture above is an example of a nuclear family (although how happy they really were is hard to decipher from the photograph). 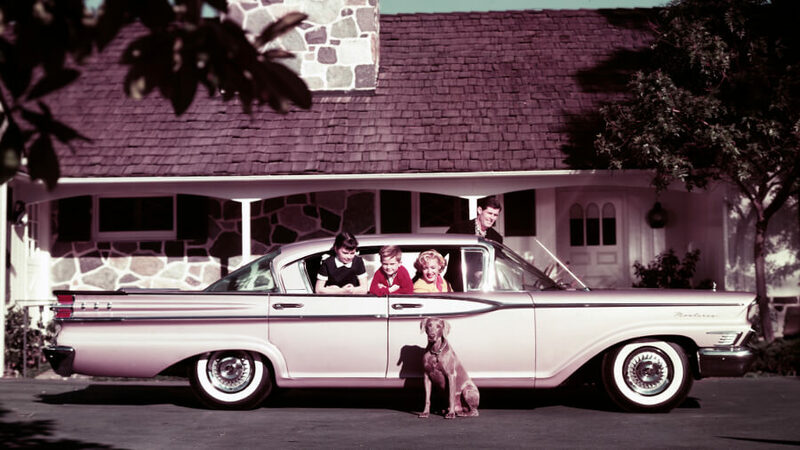 The family of four is settled in a Mercury Monterey in the driveway of their home in 1959. Their pet dog sits next to the car. In the 1950s, it was common to see kids playing outside. 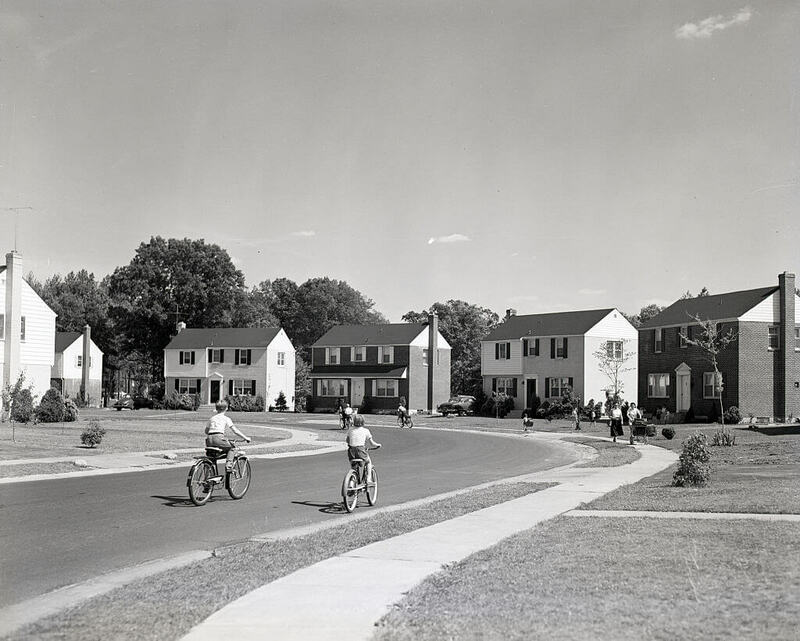 The photo above shows several children in Faifax, Delaware, riding around the neighborhood on their bicycles. One of the most coveted bikes between 1949 and 1960 was the Schwinn Black Phantom. These bikes featured a leather saddle, fender lights, brake light, and luggage rack. While some kids rode their bicycles on their paper routes, the Phantom, a.k.a. “the swellest-looking bike in town,” was reserved for sunny days or impressing other kids. These days, kids don’t spend as much time outdoors. The proliferation of technology and video games keeps many of them inside. Radio disc jokey Dean Calgano did just one show a week, but he had a large teen audience. 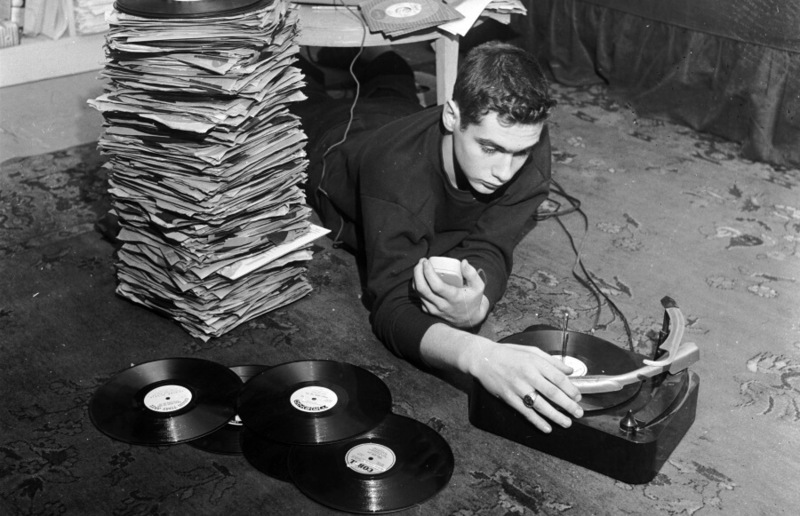 He’s pictured above with a stack of records in 1955. The smaller records, 45s, were officially introduced to the public in 1949 with the following genres: folk and country, blues and rhythm, pop, classical, and international music. Popular music of the ’50s included Dean Martin, Perry Como, Ray Charles, Elvis Presley, Chuck Berry, Johnny Cash, Nina Simone, and Harry Belafonte. Records have made a comeback for vintage enthusiasts, but these days most people prefer listening to music on streaming radio stations. Roller skating was a popular pastime for kids in the 1950s. 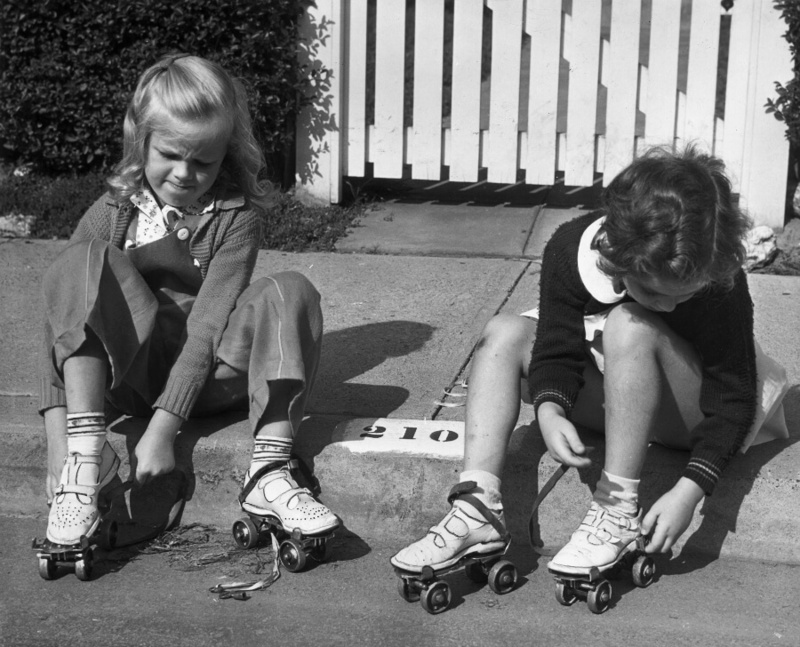 The photo above shows two young girls sitting on a curb putting on a pair of skates. Notice how they kept their shoes on and simply attached the metal skates to the bottom of them. A key was required to tighten the skates to the feet. It wasn’t until 1979 that skates transformed into rollerblades. What did kids do for fun in the ’50s? Typical games included a limbo contest, bubble-gum blowing contest, or hula hoop contest. A popular party game was Pin the Tail on the Donkey. Families also enjoyed watching Name That Tune on TV and teens enjoyed doing the Twist. 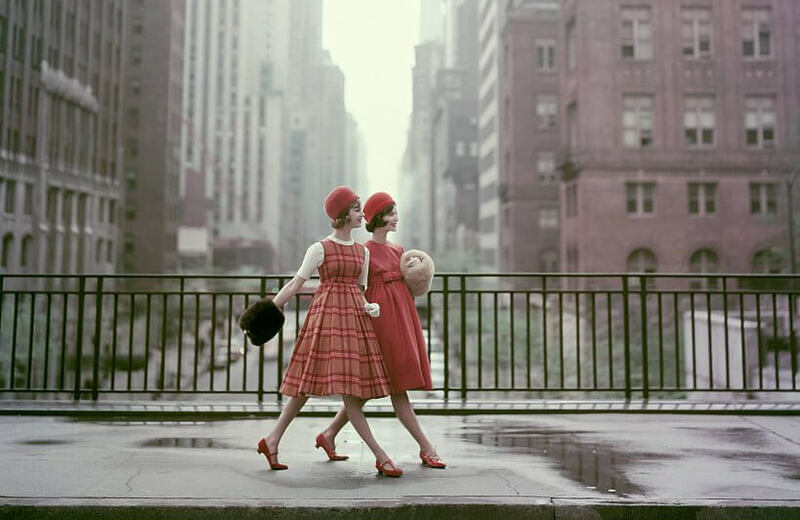 This photo from a 1958 issue of Vogue shows two models in New York City with the Chrysler Building in the background. They have on fur muffs, velvet dome hats, and a sleeveless baby-waist dress in wool plaid (left) and a wool-tweed baby-waist dress (right). Iconic styles of the era for women included petticoats and full skirts, slim-fitting pencil skirts, and tight sweaters. Women commonly accessorized with gloves, a waist-cinching belt, chiffon scarf, and red lipstick. Kitten heels, saddle shoes, and stiletto heels were also popular. Teens liked wearing poodle skirts, and Peter Pan collar blouses were also popular. 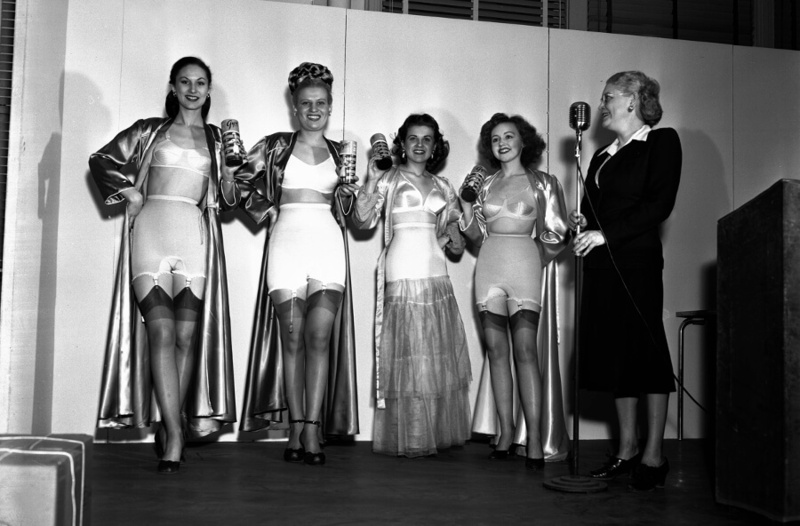 The photo above shows a group of women exhibiting fashionable lingerie onstage in Chicago in 1952. Notice how covered up the ladies are. Pin ups became popular in the ’40s and throughout the ’50s and ’60s. Their images were printed in magazines, post cards, and posters. Popular pin-ups of the ’50s included Brigitte Bardot, Sophia Loren, Jayne Mansfield, and Marilyn Monroe. It’s a toss-up whether the women of the ’50s were more attractive than those in the 21st century. Both have their own attributes. The difference is that today, women’s lingerie is much more risque, and photos of certain stars are often much more revealing. 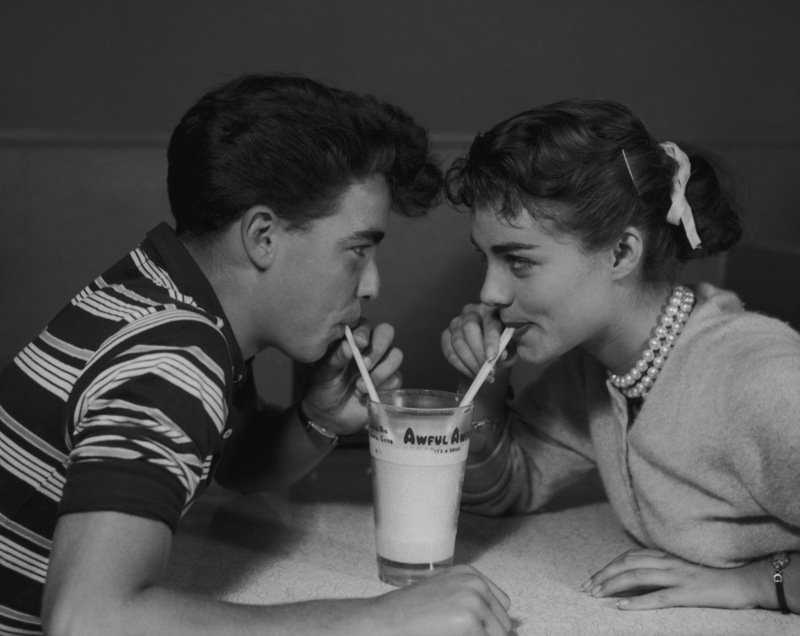 Dating in the ’50s was much different than dating today. Racial tensions ran high in the 1950s. The photo above shows a rally at the state capitol in Little Rock, Arkansas. 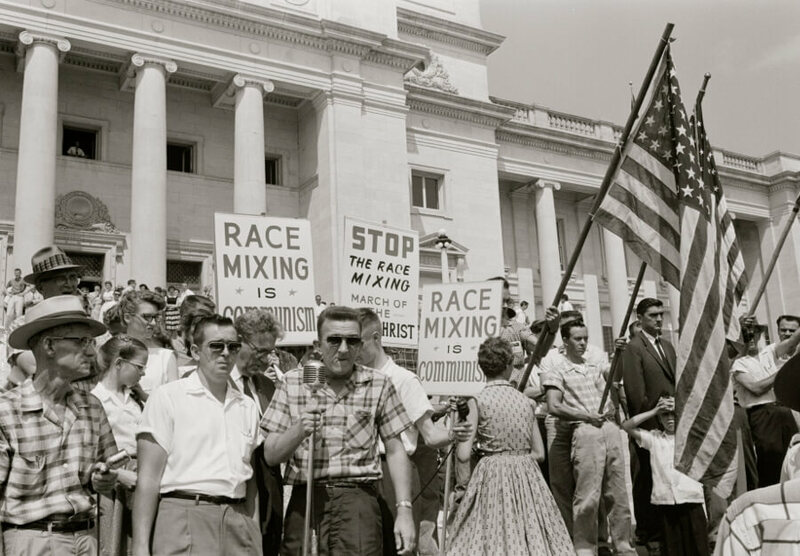 A group of people held up signs and American flags to protest the admission of the “Little Rock Nine” to Central High School. The Little Rock Nine consisted of nine African-American students who went to the school in 1957. In 1954, the U.S. Supreme Court issued its historic Brown v. Board of Education verdict, which called for desegregating all American schools. Not everyone was happy with the decision. Over 60 years later, some people still have issues with African Americans, and incidents frequently make the news. 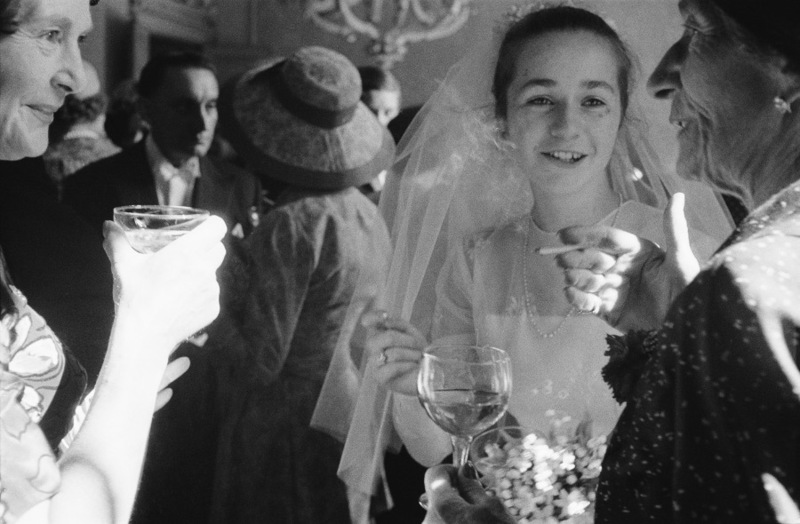 The photo above shows a teen bride in her gown with a couple of wedding guests smoking and drinking next to her. The average age for men and women to marry in 1950 was 22 and 20, respectively. Divorce was uncommon due to the social stigma. Couples were expected to get married and stay that way, regardless of whether they were happy or not. Today, women are typically 26 and men 28 when they get married for the first time. Nearly 50 percent of marriages end in divorce. It was much harder for women to divorce in the ’50s due to their economic status. While the fast food giant first launched in 1940, the iconic Golden Arches logo wasn’t introduced until 1953 at a location in Phoenix, Arizona. 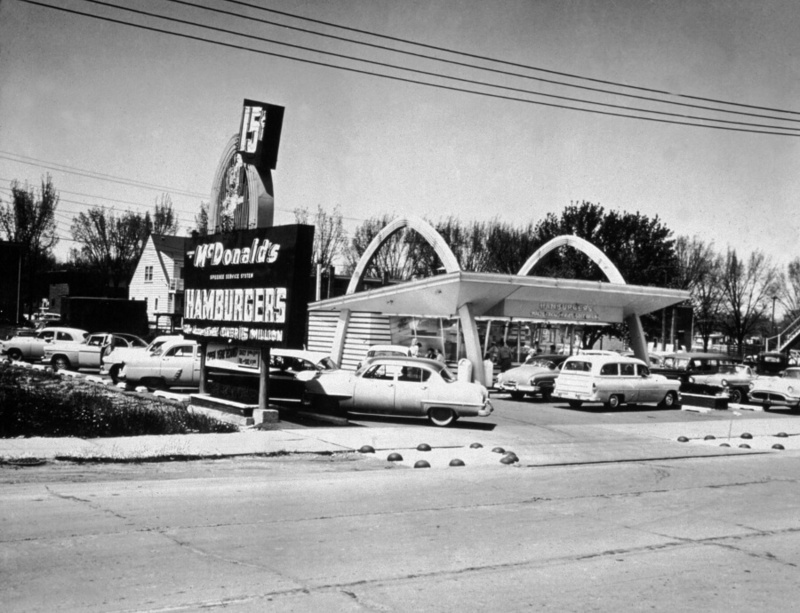 The photo above shows a McDonald’s drive-in in 1956. The restaurant advertised hamburgers for just 15 cents. Due to inflation, things cost considerably less in the ’50s than they do today. The average price for a gallon of gas was 18 cents in 1950 and 25 cents by the end of the decade. In 1959, a new car cost on average $2,200. A one-carat diamond ring was $399 (compared to $4,125 today). A woman could buy a basic dress for just $3.29. The 500-mile-long Daytona 500 held its inaugural race in 1959. 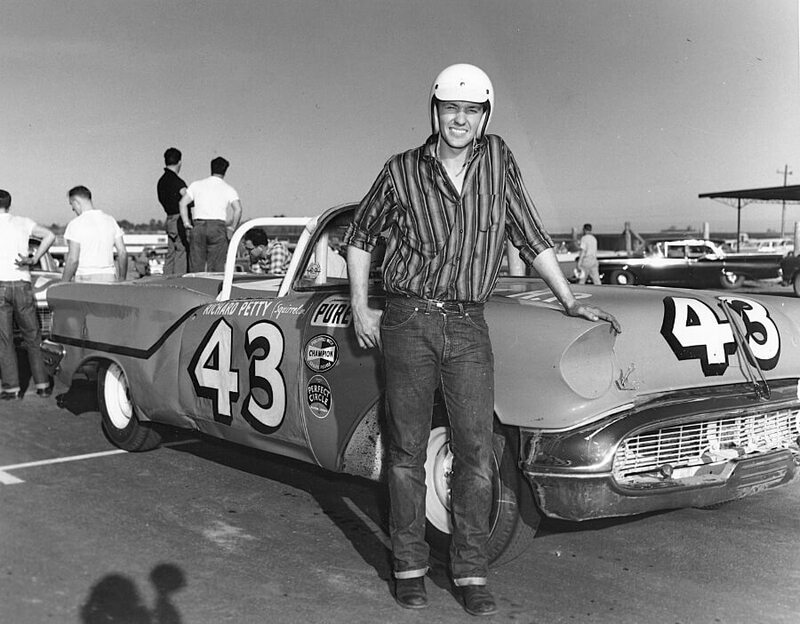 Pictured above is the famous Richard Petty alongside his 1957 Oldsmobile at the first event in Daytona Beach, Florida. Petty lost that race due to engine failure. Over the course of his career, Petty ended up winning the NASCAR Championship seven times. Today, the Daytona 500 is considered to be the best and most important race on the NASCAR circuit. Many may forget that NASCAR has its roots in bootlegging. Some ’50s racers also had entertaining names: Chicken Boggs, Peanut Brown, Pee Wee Jones, and Shorty York, for example. Bodybuilder Leo Robert was originally from Montreal, Quebec, Canada. He’s pictured above posing next to some dumbbells with his son, Norman, who was four and a half. At one point, Robert was considered “America’s most muscular man.” He won the Mr. Universe contest in 1955. Bodybuilders such as Robert increased the popularity and social acceptance of the sport. Steve Reeves played Hercules in a film in the ’50s and made people aware of bodybuilding. Muscle Beach in Santa Monica, California, was a popular spot for men wishing to build muscle, and most of the guys were all natural without using the drugs some used in later years to bulk up. Air travel was much more sophisticated in the 1950s. Men and women typically wore suits and dresses on airplanes (definitely not yoga pants). 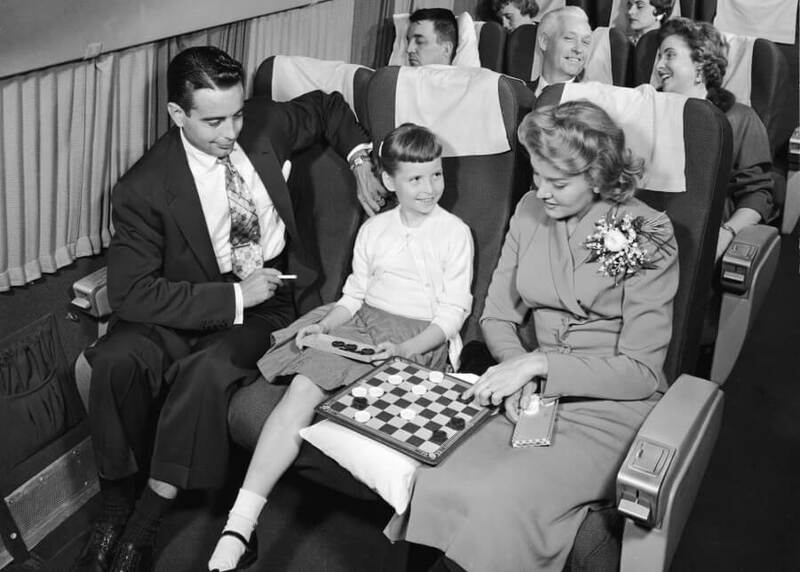 Pictured above is a commercial airplane with a woman playing checkers with a young girl. Next to them, a man watches as he smokes a cigarette (they were permitted on planes back then). Flying was luxurious — there was much more leg room and alcoholic drinks were plentiful. Economy class wasn’t introduced until the end of the decade. But flying was very expensive. 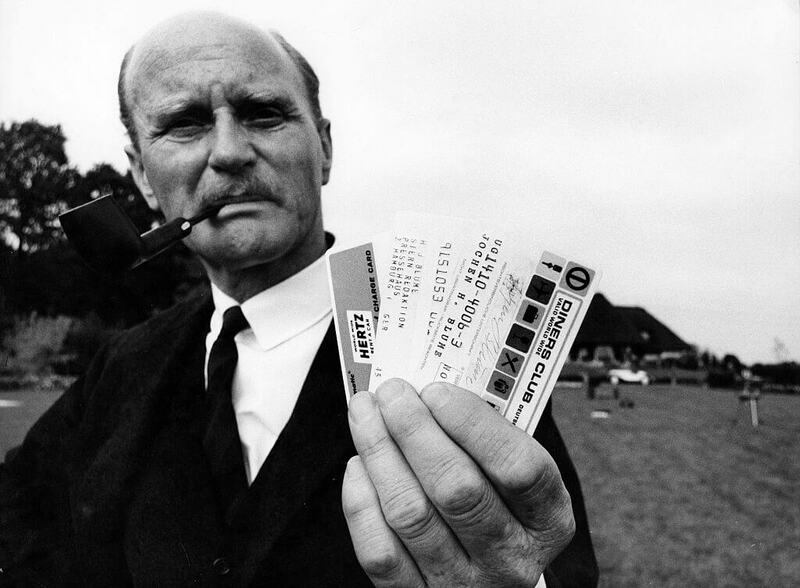 In the 1950s a flight from Sydney, Australia, to London, England would cost about five times as much as would today. While drive-in theaters first launched in the ’30s, they became super popular in the ’50s among teens and families. 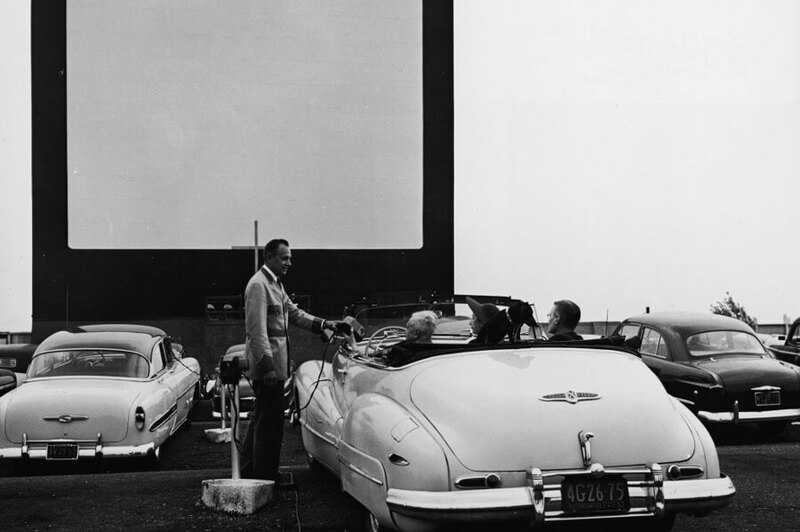 In 1958, the number of drive-ins peaked at over 4,000. “Drive-ins started to really take off in the ‘50s,” Jim Kopp of the United Drive-in Theatre Owners Association told Smithsonian Magazine. “They offered family entertainment. People could sit in their cars, they could bring their babies, they could smoke. Drive-ins offered more flexibility than indoor theaters.” Drive-ins showed B movies because the theaters could only show one film a night, versus five or six times at an indoor theater. Although Gunsmoke started out as a radio series in 1952, lasting until 1961, it’s popularity led to the development of the television show of the same name. 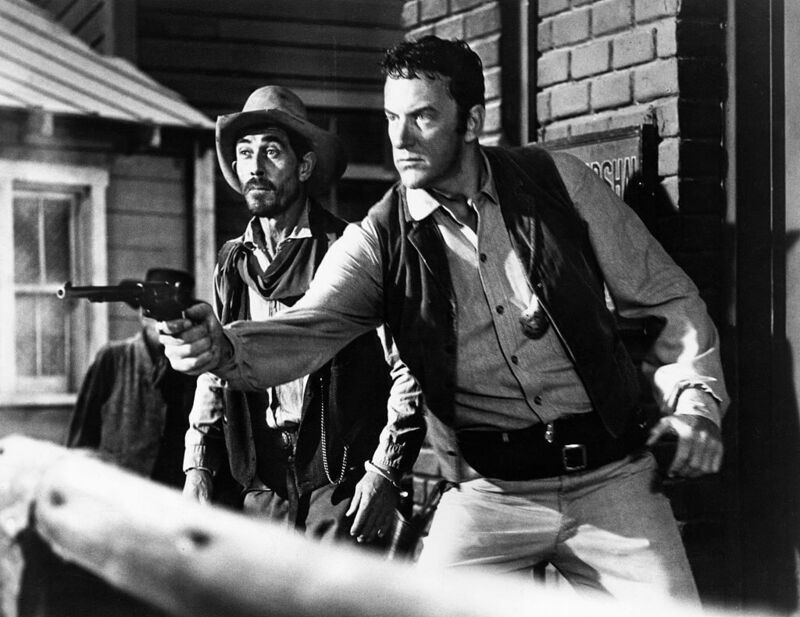 Gunsmoke first aired on television in 1955 and ran for 20 whole seasons until the series came to an end in 1975. In total, there were 635 episodes by the end of its run. In 1951, Franklin’s National Bank issued the first charge card. The New York institution issued cards in order to loan customers. At the time, it was only available to Franklin’s account holders although it was similar to previous charge-it cards. Then, in 1955, the first United States patent was granted containing the phrase “credit card.” The patent, (2,717,049) was granted by a trio who invented the first gas pump that could accept credit card. Back in the 1950s, unlike today, buying a home for your family wasn’t entirely out of the question for most people. While homes cost lifetime amounts of money these days, forcing many people to rent, in 1950, the average home only cost around $14,000. Most families were expected to own a home as well and would probably be beside themselves if they heard the average price of homes today. Not only could people afford houses, but they could also pay them off relatively early and not spend their whole lives paying their mortgage. 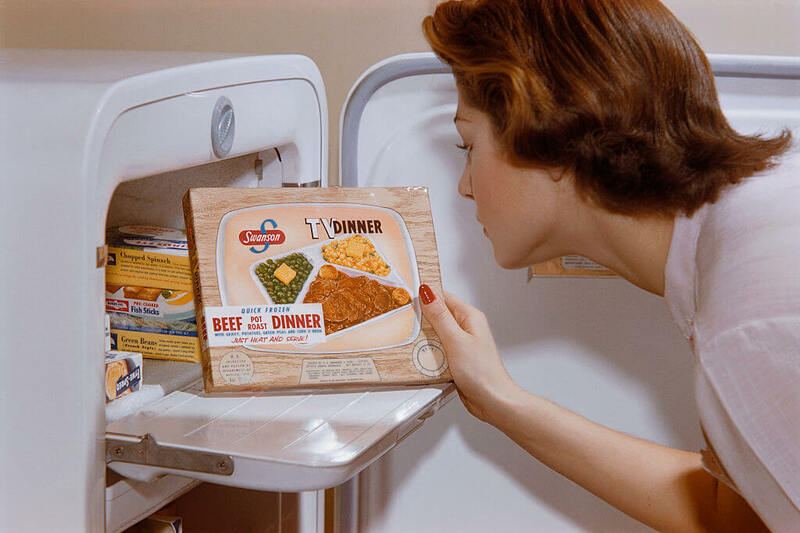 Although today, eating TV dinners may be looked down on, that certainly wasn’t the case back in the 1950s. While most people currently might resort to fast food or other quick meals over TV dinners, back then, they were all the rage. The term “TV Dinner” was first used as part of a brand of packaged meals developed in 1953 by C.A. Swanson & Sons, with its full name being TV Brand Frozen Dinner. Most TV dinners came in an aluminum tray that was then heated up in the oven. They typically contained some kind of meat, vegetables, potatoes, and a desert. 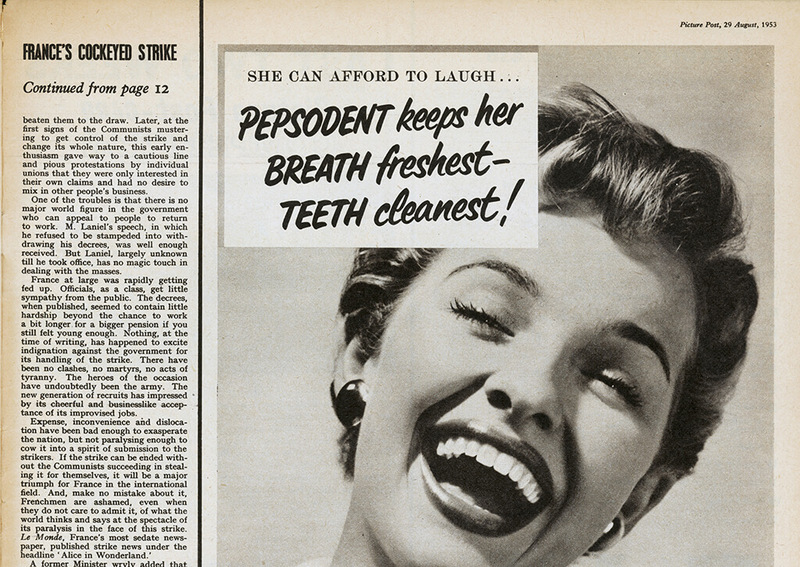 Even though some advertisements in modern times bash on other companies, it is nowhere near to how ruthless beauty companies were in the 1950s. Back then, companies were not afraid to use fear to sell their products or throw other companies under the bus to get more customers. Some beauty products might even threaten that a woman’s husband might go so far as to leave them if they use one product and not the other. Although we know that’s probably not true, in the 1950s, it very well may have affected the sales of a product. 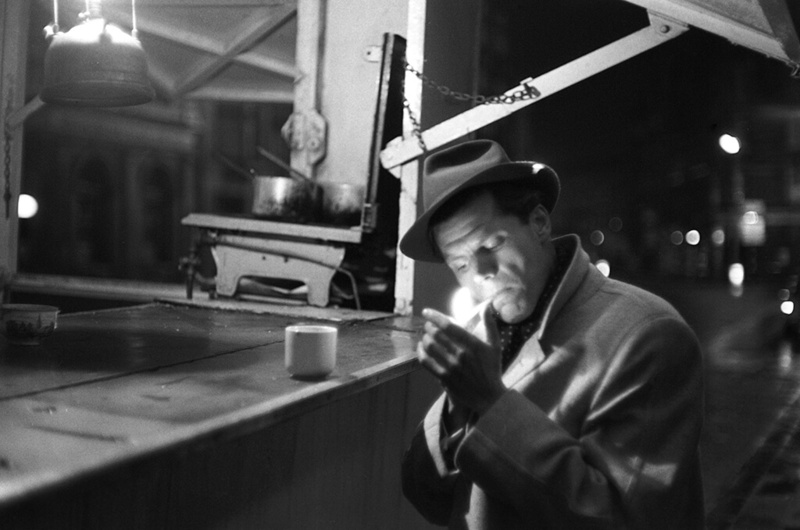 In the 1950s, for many people, smoking was about as natural as breathing. The cigarette had become a symbol for “coolness” and “glamour.” Many famous individuals were never even seen without sporting one in their mouth or their fingers. By the late 1950s, around half of the population of industrialized nations smoked since it was cheap, legal, and socially acceptable. Some cigarette companies even went so far as to claim that their cigarettes were even good for their smokers. it would take a few decades from people to learn the honest truth. Access to food and the variety of food changed drastically after World War II. This led to cookbooks being filled with recipes including ingredients such as canned fruit and vegetables, jello, boxed cereal, cake mixes, etc. Back then, there were few to no “foodies” like we have today. Many families sat down to dinner to a cooked meal of meat, vegetables, homemade desserts, and food when in season. Nothing was too complex while making most of the food groups at the same time. Meals weren’t entirely unhealthy but straight to the point. 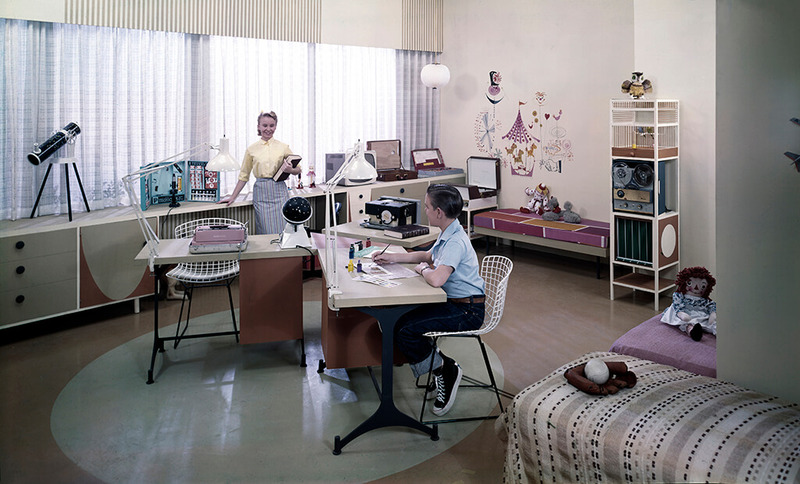 Considering that the 1950s were a time of relative peace and prosperity in the United States, individuals and families began turning their attention to making sure that they were comfortable. 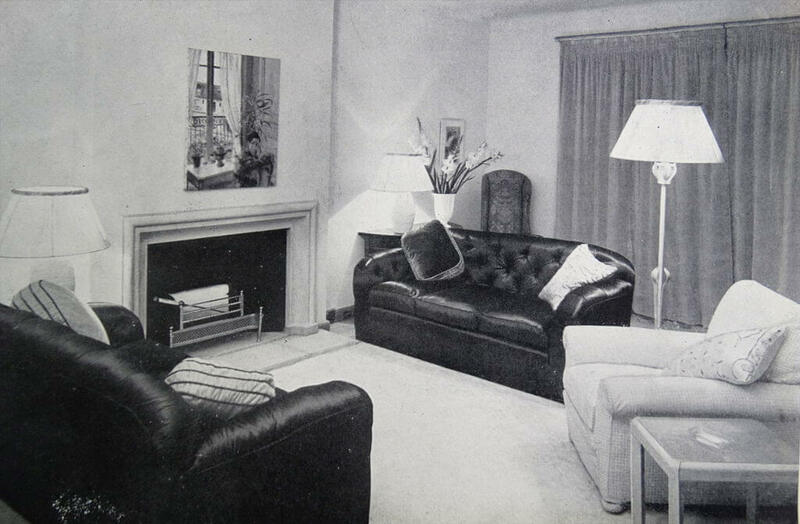 This led to a sweeping trend of the importance of interior home decor. Most of the typical styles were vibrant designs along with a focus on space, use of technology, and cleanliness. 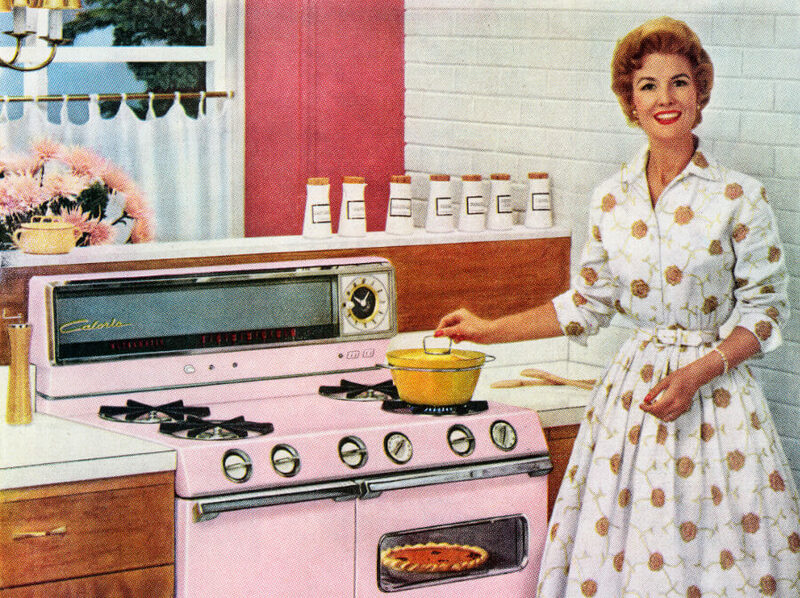 Most 1950s homes actually looked like they were straight out of a magazine because most women spent their days tiding up and making sure that everything was in tip-top shape and working order. 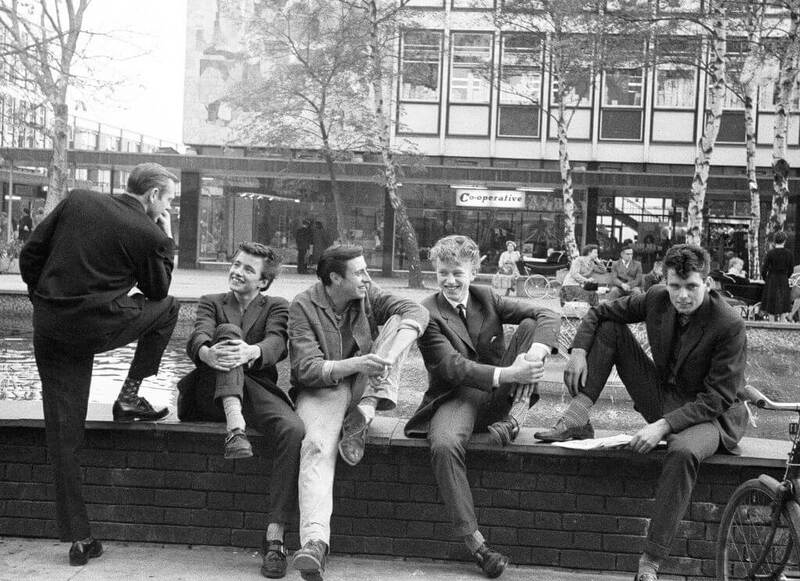 Like all of the decades before and all of the decades after, the 1950s saw the invention of some slang terms and phrases among the youth and even the adults. However, back then, the slang can be described as a lot more innocent, some of the phrases can still be heard today. Yet, many of those phrases have been lost and would leave many people clueless as to what most of them meant. For instance, the phrase “Big Daddy” today has a whole different meaning from what it meant back then which was used to describe an older man. Or if you wanted to say you were mad back then you might say you were “frosted,” a term that’s relatively unheard of in today’s culture. Although World War II had ended, it wasn’t long before the United States was involved in the Cold War. This was a time of heightened fear of the Soviet Union and the use of atomic and even hydrogen bombs. 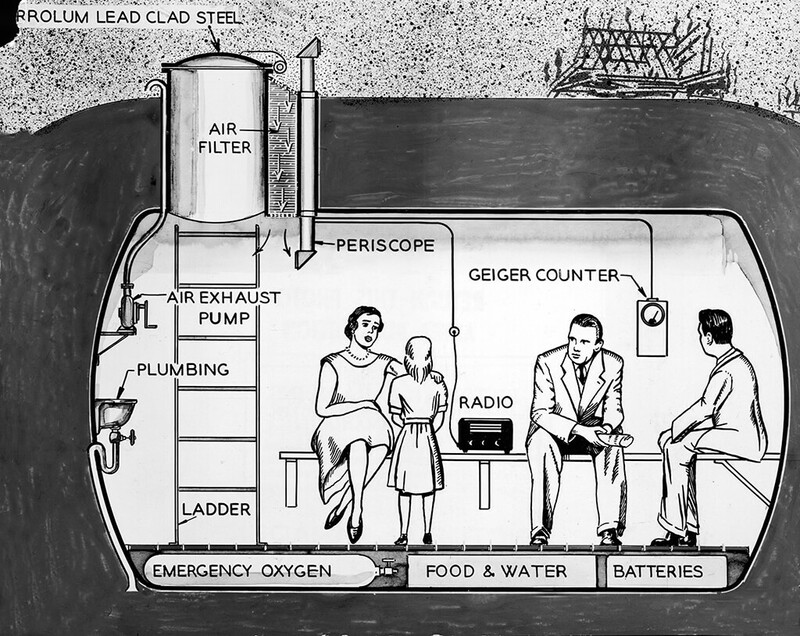 Starting at the end of the 1940s and throughout the 1950s, fear of nuclear war families all over the country began creating fallout shelters of their own in case of such an attack. These fallout shelters even began to be advertised and turned into an actual market for those who feared for the worst. The government had even announced that it would be the best way for families in suburban areas to survive in the case of an attack. 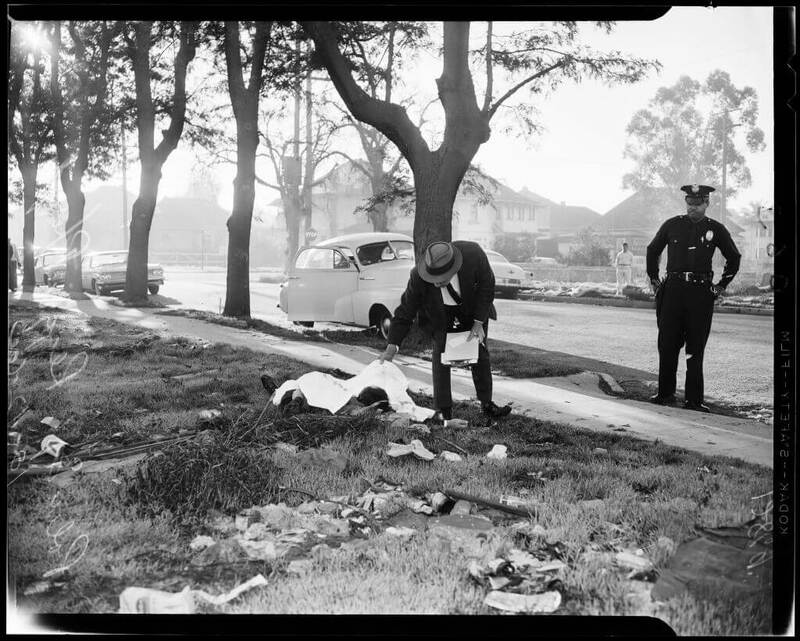 The crime was at an all-time low during the ‘50s. Specifically, in 1957. Even though you are less likely to get murdered now then you were in the last 20 years, you probably won’t be as safe as your grandparents or parents were in 1957. The murder rate was at four people per 100,000, the lowest it’s been in 55 years. Even before that, it spent about three years hovering at 4.1, which is still phenomenal. For perspective, between Woodstock in 1969 and O.J. Simpson getting yanked back in prison in 1997, the rate stayed over seven. Entrepreneurs debate this, but the bottom line is, the more you are educated, the more you should see your bank account increase. Studies show that those with degree level education see more money in their lifetime. The sad part is, college isn’t for everyone due to how expensive it is. Back in the ‘50s, this wasn’t an issue thanks to the G.I. Bill. 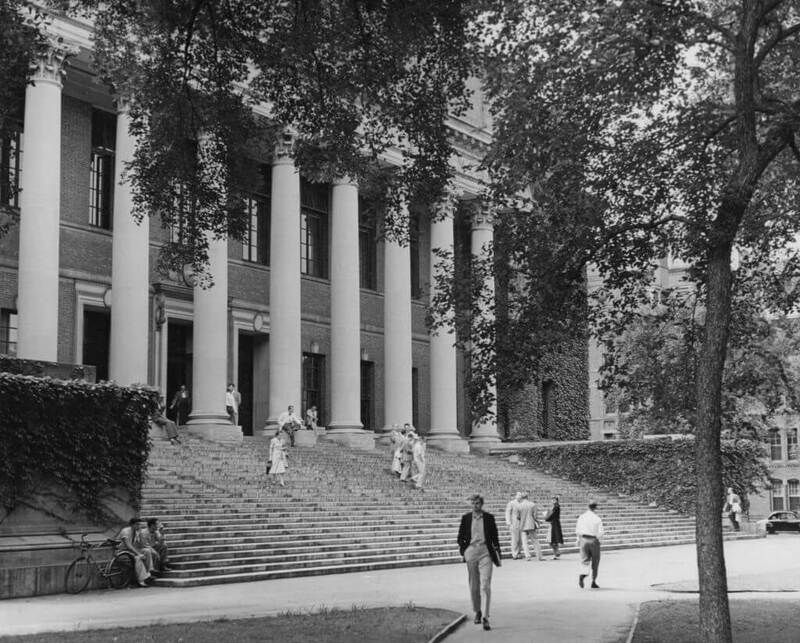 From 1944 to 1956, the bill raised a lot of funds to allow returning servicemen a chance at education. Thanks to this bill, around 7.8 million veterans were able to get their knowledge up. That’s more than the entire UK university population. Were you aware that after WWII and before 1970, purchasing power exploded? A single man working a blue-collar job was able to take care of his entire family. Paul Krugman (Nobel Prize-winning economist) said this was largely due to a third of America’s workforce being unionized. You could stretch your money further as well. Anybody working on a minimum wage budget could pay for rent with a little over a week’s full-time work. Even those at the bottom of the food chain had money to spare. 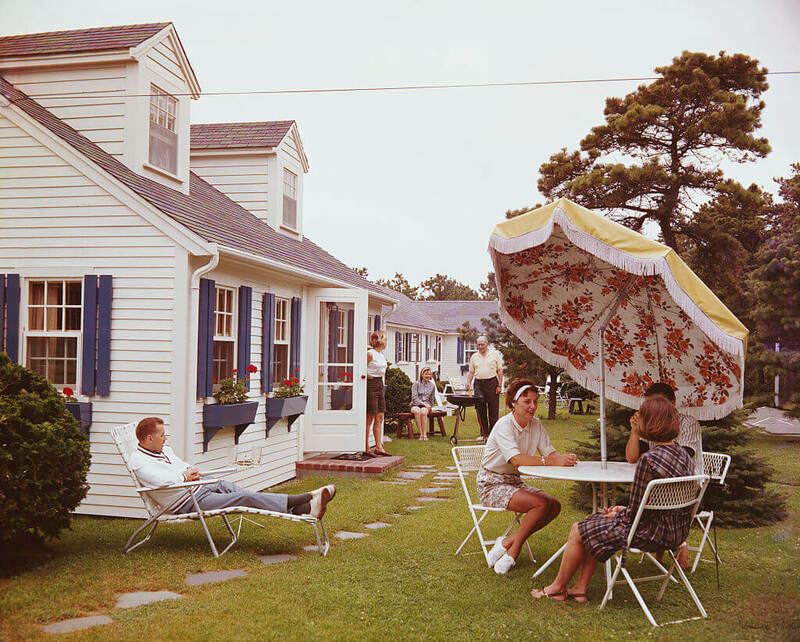 We don’t know what you think about the suburbs these days, but in the ‘50s they were a great place and symbolized everything that was amazing about America. For a large portion of American citizens, the suburbs meant a chance to get away from the inner city and into your own home. Before WWII, the younger folks were renting apartments with horrible conditions and focused on saving up. Children from the ‘40s knew the suburbs were a huge improvement. All of a sudden you had space, light and a place to call your own. They also gave the growing middle-class something to strive for. When you think of the American Dream, what comes to mind? Anyone who works hard will be rewarded handsomely at the end, right? That’s pretty much what’s been embedded into our systems and during the ‘50s, this theory couldn’t have been truer. It’s like that dream was on steroids back then. Children born in America after WWII had more than double the chances of achieving this. This trend would continue right up until the early ‘70s. Today, we’ve gone from being the best to the absolute worst. The second war had us falling severely into debt, but by the time the ‘50s came rolling around, that same debt was highly under control. At the start of the ‘50s, the debt was around 70% GDP. Then, by 1960, it fell to about slightly above 40. Moreover, it kept falling. This was more than just some brief dip and was more of an on-going trend that Congress can only dream about. To put it in perspective, America has spent the last few years adding back the debt like the pounds your aunt gains back after the holidays. The Lever House is a glass-box skyscraper at 390 Park Avenue in Midtown Manhattan, New York City. 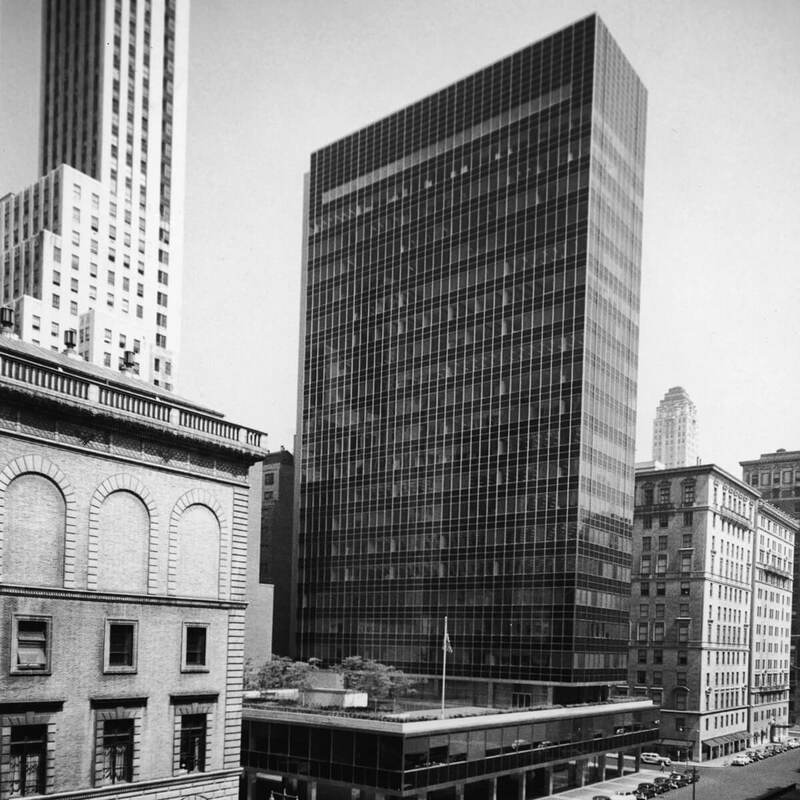 Constructors built it in the International Style following the design of Ludwig Mies van der Rohe. This building finished in 1952. What’s so significant about this you ask? It ushered in a huge change. Other corporations started mimicking this and it marked a transition to the International Style. Basically, the trend of skyscrapers became more popular after this. Tuning in to catch your favorite actors and actresses win an Academy Award is always fun to do. As the announcers read the nominees you start to get butterflies in hopes that the person you want to win takes home the award. Everyone is dressed up in their best outfits and it’s an overall good time. Did you know that we weren’t able to watch this until 1953? That’s right, March 19 was a new tradition for TV watchers as it was the 25th annual Academy Awards and the first that got broadcasted on TV. As of the end of 2018, it’s like half of America is either depressed, full of anxiety or hopeless. It’s become a trend in music, the television we watch, pretty much all the media we consume, and we all have at least one or two friends that love self-deprecating. Rewind the clock and this was not the case in the ‘50s. 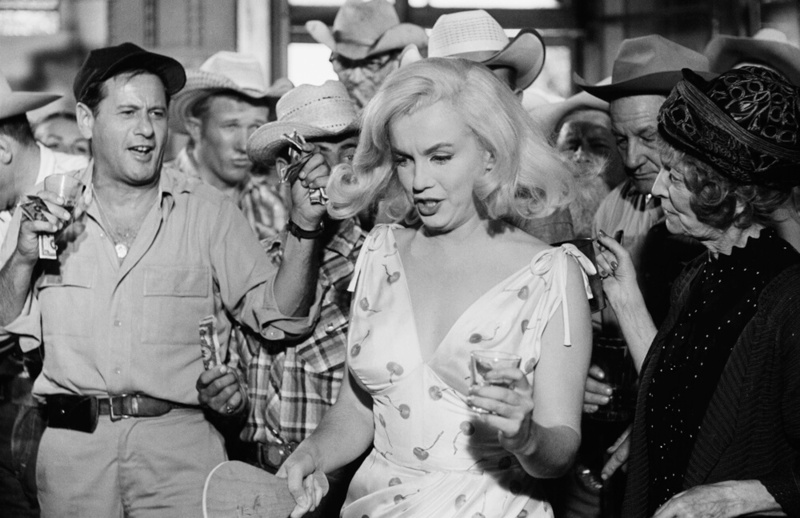 According to the book Economics & Happiness, the ‘50s saw a huge cast of people claiming they were extremely happy. This peaked between 1955 and 1960 at around 40%, which is the highest it’s ever been. Today, if you live in America, California especially, you had better hope you don’t have any kids, wife, or girlfriend. Speaking to the men, if you’re lucky this won’t be the case. However, many of those titles just mentioned won’t stop bugging you until they are treated with a trip to Disneyland, the happiest place on Earth. This all thanks to Walt Disney himself. 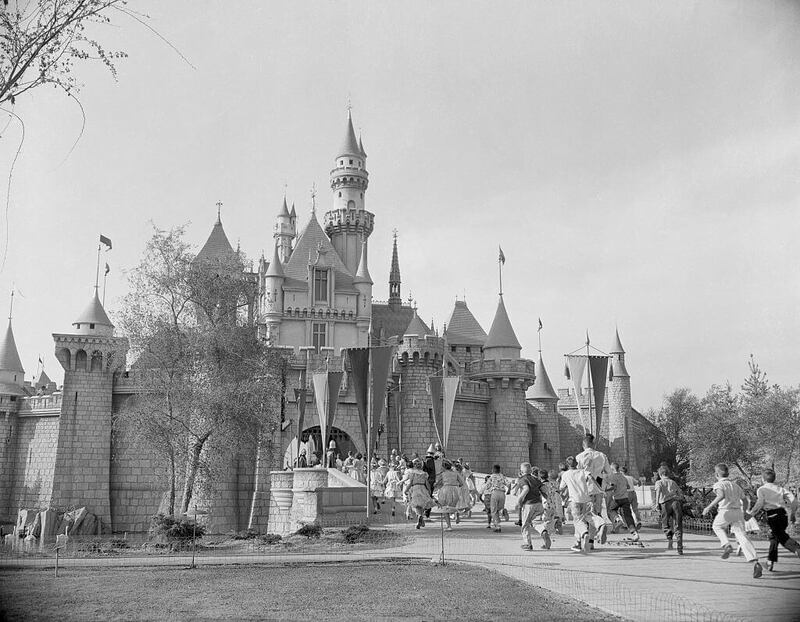 The theme park opened on July 17, 1955, maybe this is why happiness was at an all-time high? Whatever the case, it cost around $17 million to build at first.